Are you a teacher looking to refine your skills under a skilled mentor teacher? If you have graduated from a Yoga Alliance 200 hour-training and would like to further your practice, and advance your teaching skills, this mentorship is perfect for you! Not only will you refine your assisting and sequencing skills but your mentor will push you to be the teacher you already are. Location of classes, mentor meetings and practice teach sessions will vary based on the region your selected mentor is based. If you sign up for all modules at once you will receive a 10% discount on each module. Tuition includes 6 months of unlimited yoga starting the first day of your program. Tuition must be paid in full by the early registration date to receive the discounted rate. Apply early to increase the likelihood of being placed in your requested mentor’s group. Completed a Yoga Alliance registered 200 Hour program. 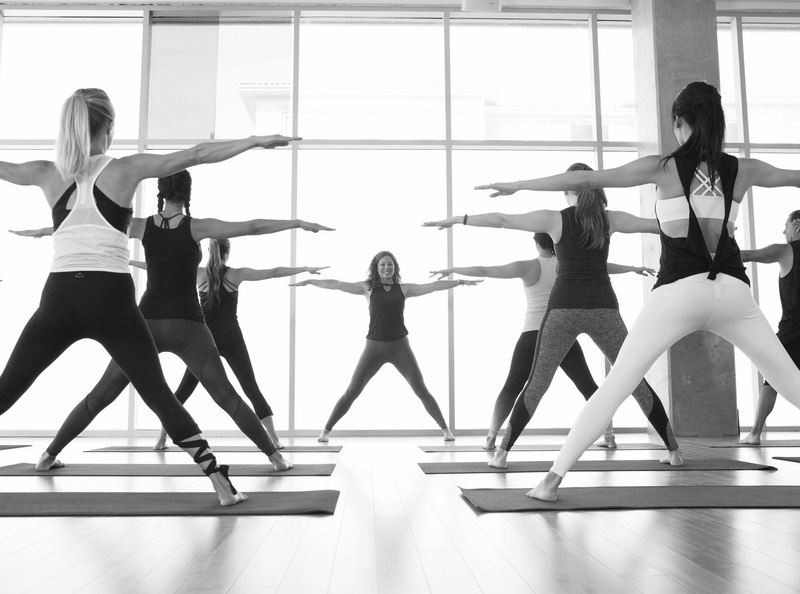 If your 200-hour training was not through YogaWorks, you will be required to take our 75-hour bridge program. This apprenticeship accounts for 125 hours of the YogaWorks 300-Hour program. You can take this apprenticeship alone, or apply this to your 300-hour program hours. Students who would like to complete the full 300-Hour program for credit will be required to complete all additional 50-Hour intensives and the 25-hour practice teach series within a two year period. See below for complete 300-hour Modular Format schedule. 25-Hour Practice Teach Series: March 6 – April 24, 2019 Click here to register! Modules can be taken in any order. In order to get credit for the full 300-Hour Program, all modules must be completed within two years from the start date of the first module you attend. Heather is a mother, a partner, a student, and an educator. She has been working in New York City as an independent dance artist, massage therapist, and 500hr certified yoga and anatomy teacher for over a decade. Heather holds a BFA in Dance from FSU with a concentration on Performance, Movement Conditioning, and Kinesiology. She is also a Doula with Carriage House Birth and a Senior Teacher and Trainer with YogaWorks, leading both 200hr and 300hr professional yoga programs in New York City and all over the US. As a mover, shaker, and lover of the arts, Heather seeks to find the authentic artistic vision that lives within each of us. She began practicing yoga in 1996 and has been studying kinesiology and teaching multiple movement disciplines for 20 years. She has also taught as an adjunct dance professor at Georgia College & State University and Central Connecticut State University. With a background in structural bodywork and massage therapy, working with injuries and using biomechanics to inform her teaching are areas of keen concentration. Passion, playfulness, and curiosity are major components of Heather’s offerings and practice which help to ignite growth and self-study in this lifelong yogic quest for balance. In Heather’s yoga classes, she combines her love of movement, creativity, kinesiology, and anatomy to bring strength, clarity, and awareness to the body. Focus on the individual and the breath are paired with dynamic intelligent sequence. With an educational and compassionate approach to yoga she strives to blend the balance of asana, self-reflection, and exploration of philosophy while encouraging students to find their own unique path to a continually evolving practice. Heather’s primary teachers are Carrie Owerko and Rodney Yee. She has been dedicated to the art and practice of Iyengar Yoga since 2007 and has been inspired by many teachers along the way including Richard Rosen, Liz Marx, and Genny Kapuler. Learn more about Heather Seagraves at heatherseagraves.com. Nicole is a YogaWorks 500-hour Certified yoga teacher and teacher trainer who specializes in demystifying the practice for beginners. Inspired by a variety of yoga schools and movement modalities, she culls techniques from an array of methods to create an experience that is rooted in yoga but universally relevant. Her wish is for students to discover that there is no one way, but many ways— and for them to cultivate the autonomy necessary to discover what works for them. She delights in creating creative, intelligent, preparatory sequences for her students that prime them to develop a personal yoga practice built on a strong foundation of body awareness— and, perhaps more importantly, to move with fluency in all contexts. Nicole has been practicing yoga for over 12 years and in that time has had the great fortune to practice all over the country with some of the country’s top teachers. She received her training at YogaWorks, under the acclaimed guidance of Chrissy Carter and Paula Liberis. In addition to her yoga training she has completed several anatomy courses including the highly respected FAMI Kinected Functional Anatomy for Movement and Injuries Training and Science of Stretching with Jules Mitchell. She recently became certified in NeuroKinetic Therapy under Dr. Kathy Dooley. Teachers that have a strong influence on her teaching include Paula Liberis and Christina Sell. Learn more about Nicole Mitsch at nicoleyoganyc.com. Dani came to yoga as a dancer. Upon graduating from the Dance Conservatory of Purchase College she was hired to perform with the Amy Marshall Dance Company (AMDC) in NYC. Dani began practicing yoga seriously at this time to help condition her body. Shortly after, she realized that yoga was so much more than exercise, or art even, which dance had always been to her, there was something more to yoga that she couldn’t quite put her finger on at the time. Dani immersed herself in the practice of yoga taking classes regularly and embarking on the path of teacher trainings. She now knows that what she was tapping into was a deeper connection to her Self. Yoga helped Dani to connect, feel, and love herself from the inside. After a fulfilling career as a professional modern dancer in NYC, Dani made the leap to pursue teaching yoga full-time. She discovered a passion for studying the body and for teaching people how they can feel better in their bodies – physically, mentally, and emotionally. Dani’s time as a dancer and her career as a yogi prepared her for my most challenging and most satisfying job to date – mother of Jolie Janine LeRoy. Jolie entered her life on September 16th, 2017 and Dani’s world was forever changed. Both dance and yoga have taught her how to be present in the moment which has been the most invaluable practice for her time with her daughter. Dani’s perception of time has completely changed. She used to be thankful for the years, yet take for granted the days. Everyday is so precious now as she watches her daughter explore and navigate the world around her, as she watches her daughter continue to grow and develop at a pace that seems more rapid than Dani can keep up with at times. Everyday is an opportunity to practice being present and grounded and to find the wonderment in the days that can sometimes seem mundane. Learn more about Dani Zuccheri at danizyoga.com. Elizabeth Neuse-Flint has been teaching yoga since 2001. During a solo sojourn to India that year she discovered the deep spiritual roots of the practice. She lived for 3-months at the Sivananda Yoga Center in San Francisco. In 2002 she completed a 9-month 1,100-Hour Yoga Teacher Training with Yoga Arts in Byron Bay, Australia. This program focused on Ashtanga and Iyengar Yoga, as well as Vipassana Meditation and Ayurveda. After completing this training she returned to her hometown of St. Louis, Missouri to be part of the wonderfully close-knit yoga community. In 2005 she moved to New York to study social work at NYU. During this time she completed an advanced training with Cyndi Lee at Om Yoga and became co-director of teacher training at Yoga Effects in Manhattan. In 2007 she founded B Yoga NYC, which included 200-Hour, 500-Hour, Therapeutic and Prenatal Teacher Training Courses. In 2009 she joined YogaWorks where she now teaches several weekly classes ranging from Restorative to Advanced Vinyasa. She is a member of the 200-Hour Teacher Training Staff and a mentor for the 300-Hour Program. Elizabeth leads workshops and retreats focusing on the deeper aspects of yoga, meditation and healing in New York and amazing locations such as Mexico, Guatemala, and Australia. Learn more about Elizabeth Neuse Flint at e-yoga.com.